Conor McGregor made an unexpected NHL appearance on Saturday ahead of St. Patrick's Day. The Irish UFC fighter dropped the puck ahead of a matchup between the Boston Bruins and Columbus Blue Jackets in Boston. He was accompanied by a flag and proceeded to shake the hands of players, before hyping up the crowd. 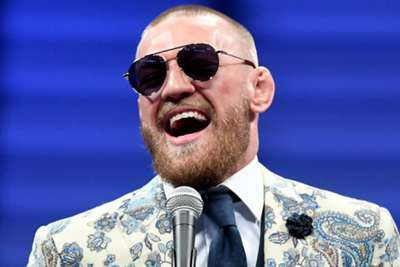 Although McGregor was arrested for allegedly damaging a fan's cell phone in Miami earlier this week, he seemed to be in high spirits. The Bruins entered Saturday enduring a three-game losing streak. The Blue Jackets had won their last two games before the contest. But McGregor seemed to favour Boston, the second-placed team in the Atlantic Division. They have posted a 42-20-9 record in 2018-19.